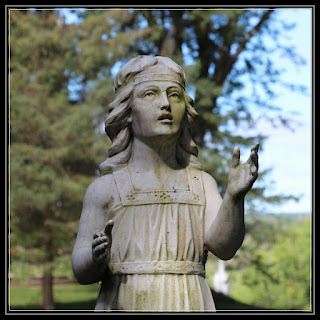 own backyard - places we've never visited, some we never knew existed. This is even more astounding since we were both born and raised in the Capital District. 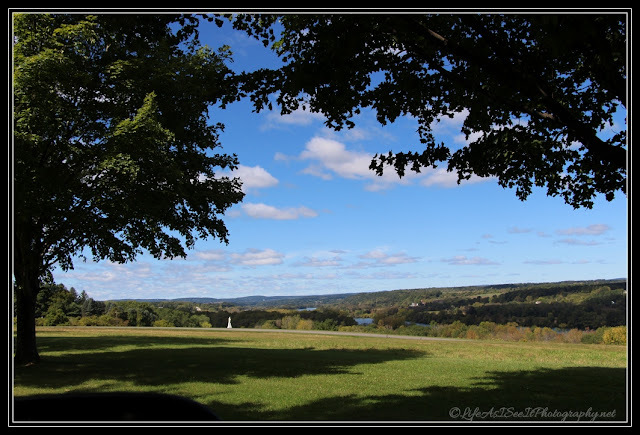 Today's post features another one of these treasures, a place seen on a sign along the highway, but like so many others - driven past many times. 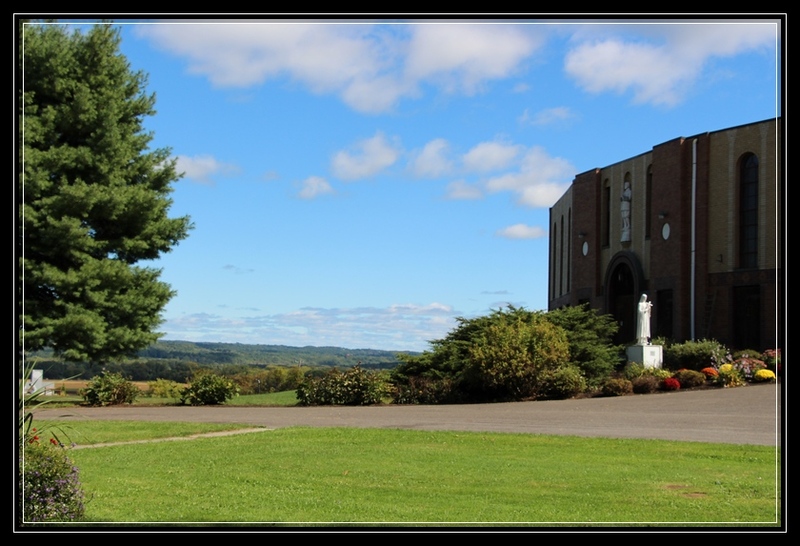 That is until a few weeks ago when we were headed to Sharon Springs and made a detour taking us to the historic and sacred Auriesville Shrine - The Shrine of Our Lady of Martyrs. A photography friend of mine had visited this year and posted some amazing photos from her visit, so when I saw the sign, I knew we had to go. Just in case any of you, like me, knew of Auriesville but have never visited, come along as I take you on a tour and share some fascinating facts. "The blood of the martyrs is the seed of the church." This adage literally occurred at Auriesville, formerly known as the Mohawk village of Ossernenon. 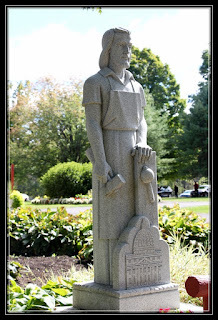 During the 1640s three French Jesuit missionaries - Father Isaac Jogues and his two lay companions, René Goupil and John Lalande - were killed by the Mohawks while bringing Christianity to the New World. These three along with five Jesuit priests martyred in Canada during the same decade, were canonized in 1930 as the eight North American Martyrs. 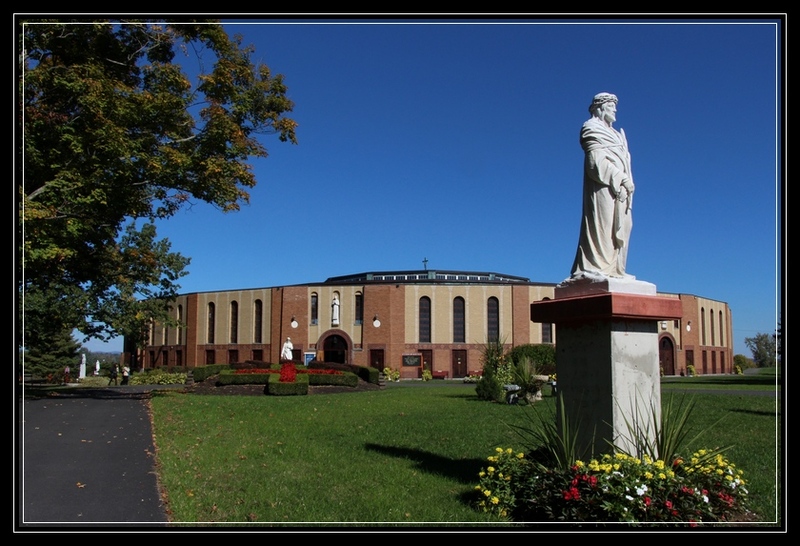 Ossernenon is now known as the Shrine of Our Lady of Martyrs, and has been owned by the Jesuits since 1884. 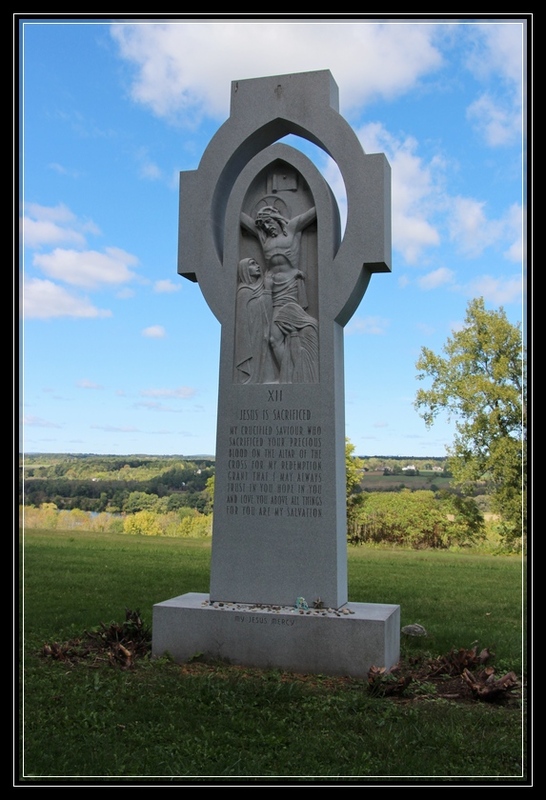 It is also believed to be the 1656 birthplace of the Mohawk maiden, Blessed Kateri Tekakwitha. Father Isaac Jogues lived a difficult life of devotion to his church, one that resulted in his capture by the Mohawks, beatings and mutilation. Several of his fingers were severed (notice the photos below). Ultimately he lived his last years as a slave in the Mohawk clan. 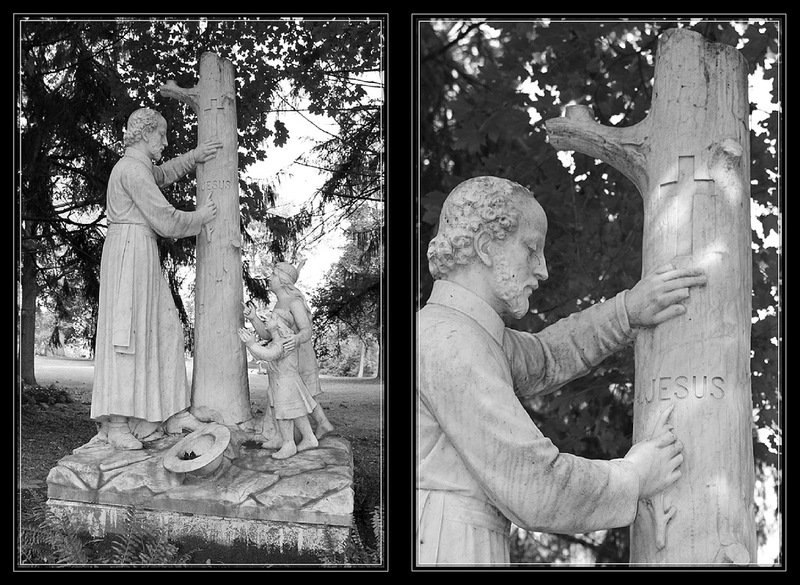 The crosses and the name of Jesus inscribed on the trees of Auriesville is a replication of Father Jogues' devotion. Whenever he could break free from his many menial tasks, he found a quiet place, carved the cross onto a tree, and knelt and prayed. He wrote, "How often on the stately trees of Ossernenon did I carve the most Sacred name of Jesus so that seeing it the demons might take to flight, and hearing it they might tremble with fear." As you walk the grounds of Auriesville you will notice a wooden cross on almost every tree as well as on every pillar inside the coliseum and in numerous locations on the altar. The coliseum, built in 1930, holds 10,000. The land that comprises the Auriesville Shrine is between 400-500 acres. 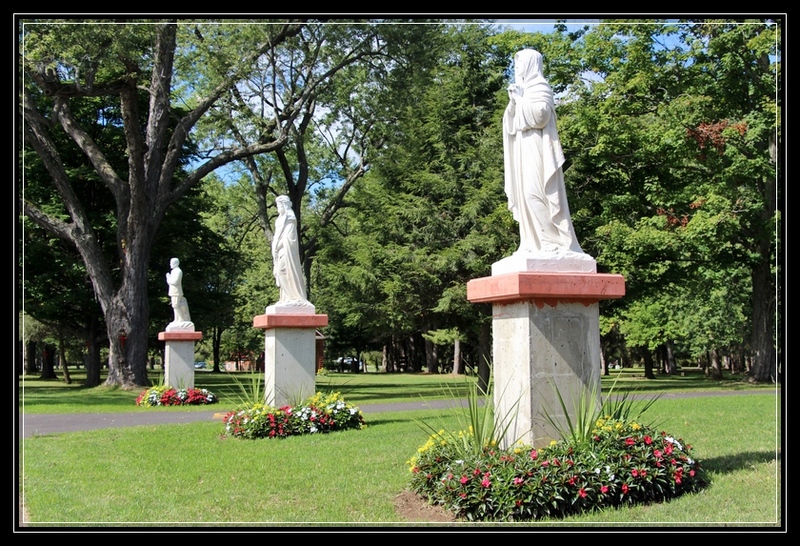 The Jesuits have owned Ossernenon since 1884. 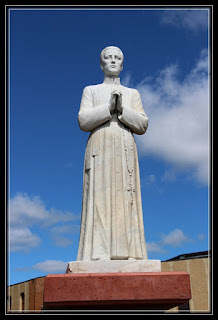 The Jesuit priest belong to the Society of Jesus. According to Wikipedia: "the Society was founded for "whoever desires to serve as a soldier of God." Interestingly, Pope Benedict XVI is a Jesuit priest - the first Jesuit priest in history to be Pope. 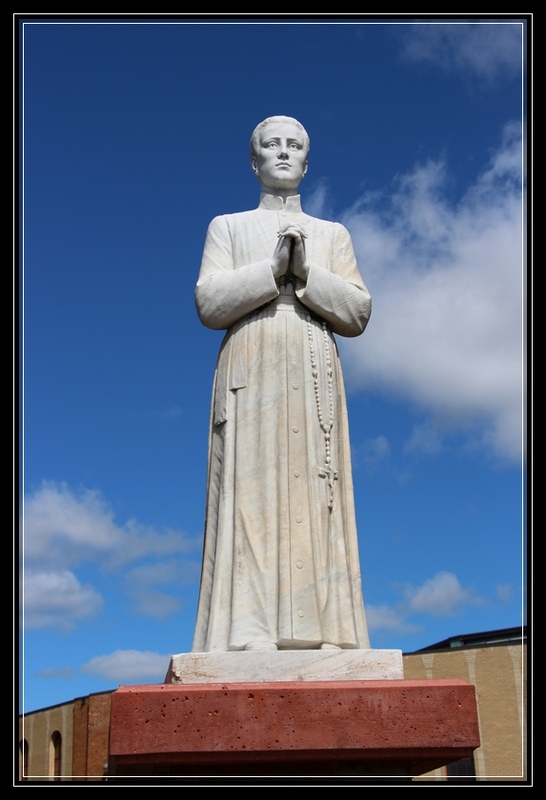 At one time there were 70,000 Jesuit priests, now there are 18.000. Pope Benedict XVI at Saint Peter's Basilica on 21 October 2012. 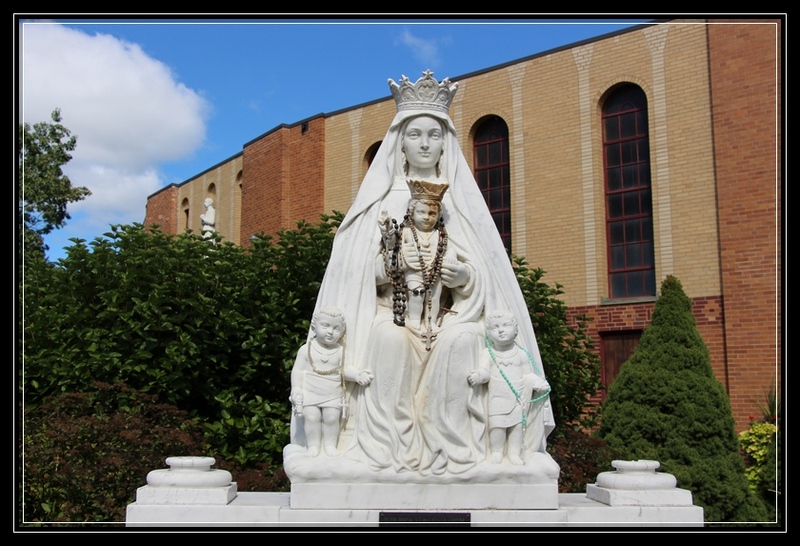 Various miracles and supernatural events are attributed to her intercession. Nearly 25,000 people came to the shrine when she was canonized at St. Peter’s Basilica on Oct. 21, 2012. 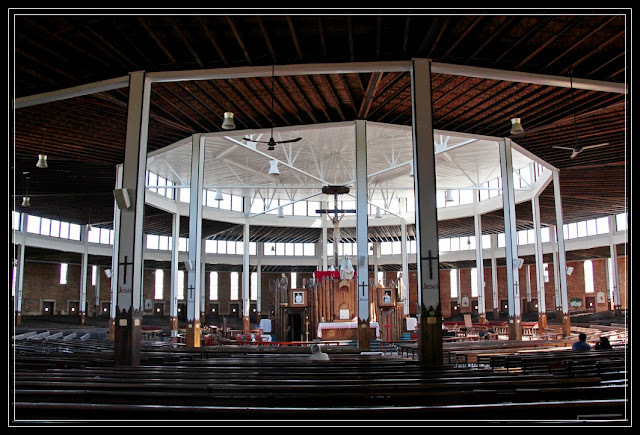 The Coliseum was built in 1930 and is one of the largest circular churches in the country. It can seat 6,500 and with another 3,500 standing. That weekend nearly 7,500 attended Mass. Nobody anticipated those numbers. Regardless of one's personal religious conviction or what church you are part of, walking the grounds or attending mass at the Shrine is a moving and spiritual experience. 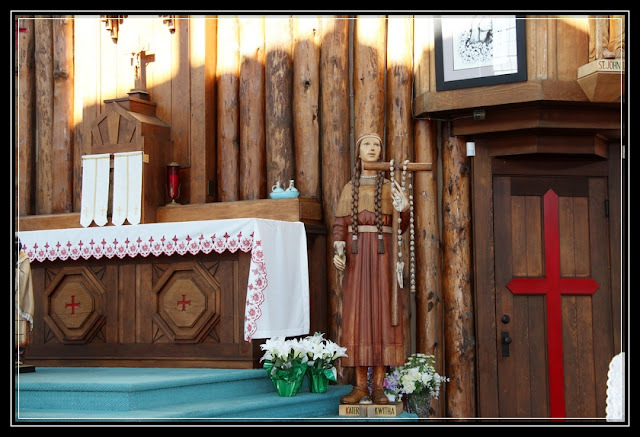 When we first visited the Shrine a few weeks ago, we arrived around 10:30, just before the start of the 11:00 mass. Several people were arriving and entering the coliseum. 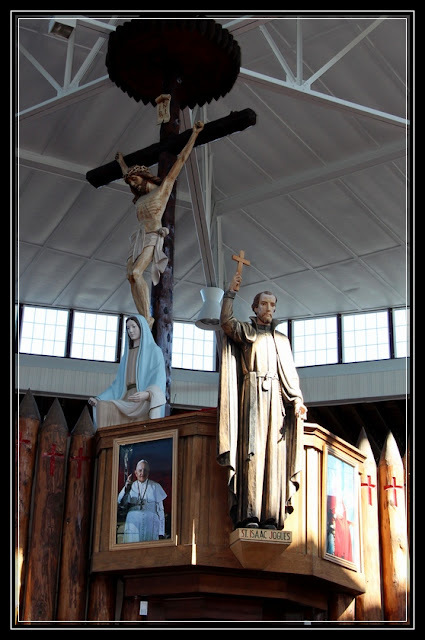 I was raised in a Catholic church but have attended a Lutheran church for the past 37 years. 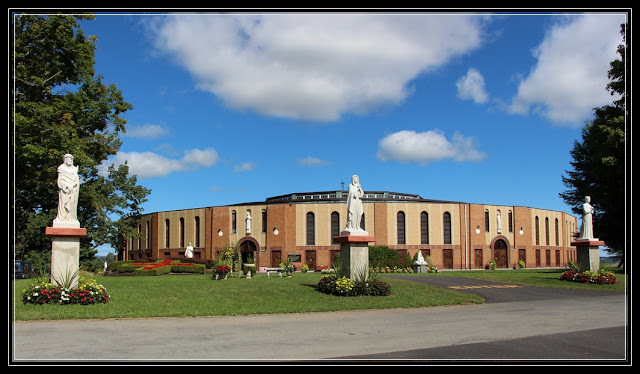 My attendance at Catholic churches since then has been limited to funerals, yet I felt drawn to take part in the Mass that Sunday. The coliseum doesn't look like the typical church, yet when you are there it feels perfectly normal and surprisingly reverend and spiritual despite its impressive size. The organist/vocalist was a young lady with the voice of an angel. The sound system delivered clear voices from both the priest and the vocalist in this massive, open space. It was just heavenly. I enjoyed it so much that this past weekend I took my mom for a ride to Auriesville. 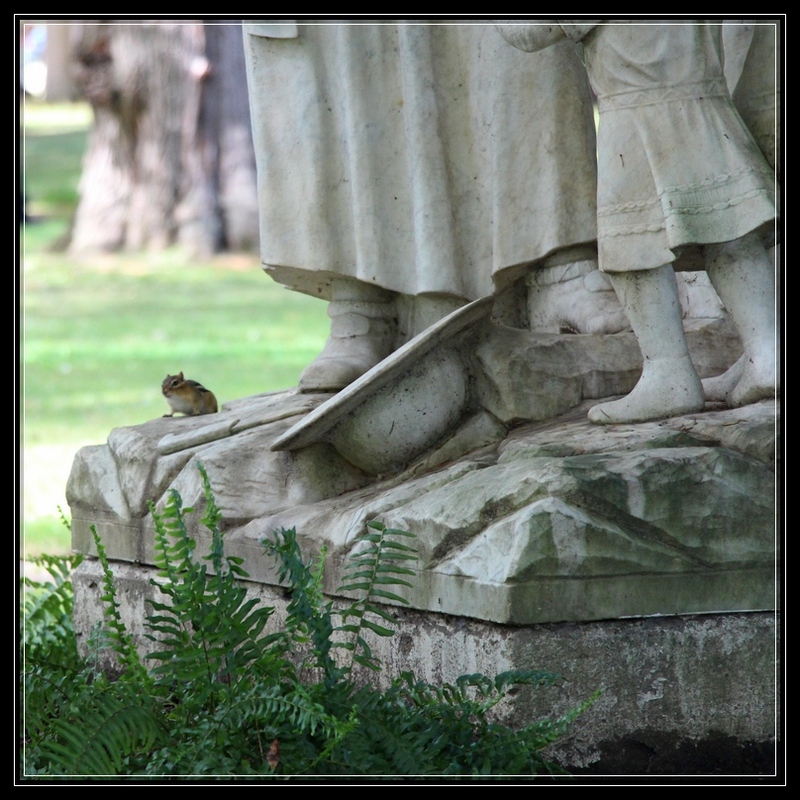 She hadn't been to the Shrine since the early '60's. 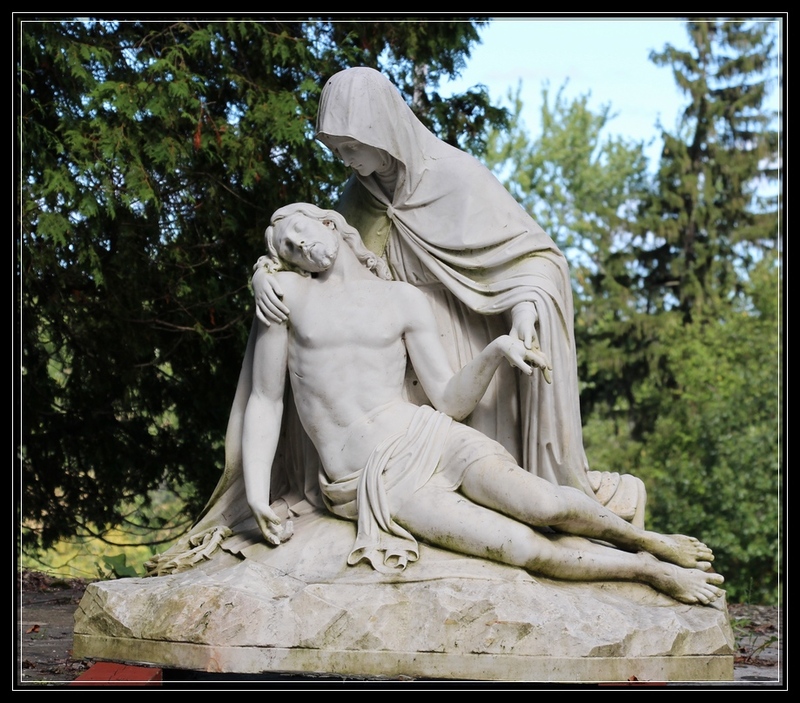 We attended Mass where once again, it was impossible not to feel a profound and tangible feeling of deep spirituality. 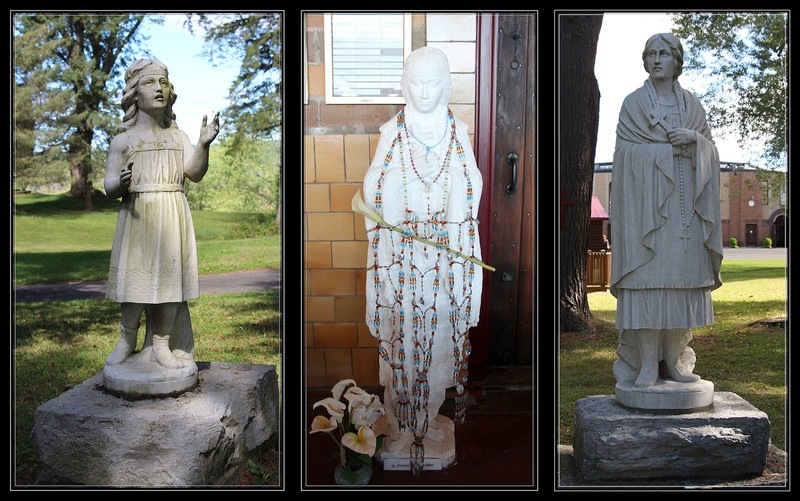 It is said that the reason the Auriesville Shrine is so special is because there are more saints there than anywhere and perhaps that is true. Whatever it is, there is something unable to be defined or described about what you experience on those grounds. Everyone feels welcome at the Shrine of Our Lady of Martyrs, even the animals. 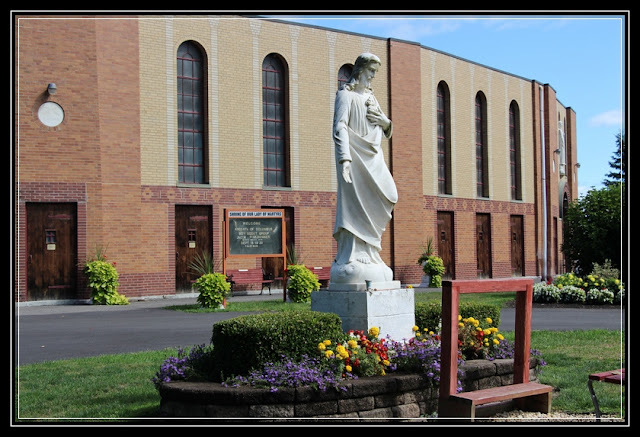 Mass is held at the Shrine from the week after Easter through October 21st. Each year about 100,000 people visit the Shrine. As you can imagine, the upkeep on such a large and aging structure is steep. 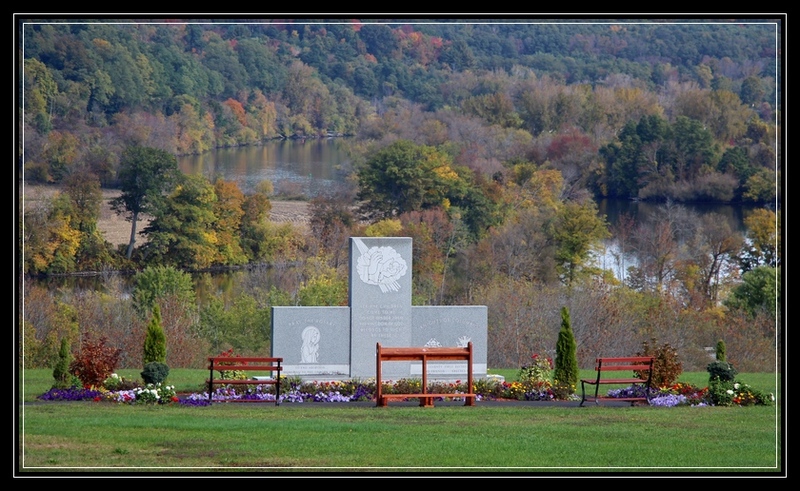 If it is in your heart and budget to do so, consider contributing so that this beautiful site can be maintained. Time is almost up this season, but consider taking a short trip out to Auriesville soon. It's an easy trip out the Thruway or Route 67 or Route 5, just 45 minutes or so from the Saratoga area. Website information included below. Check it out. It's filled with fascinating stories about Father Jogues and the other martyrs and saints. All text in italics was taken from the official website. Thanks for reading. Please share and come back soon to Life As I See It.